Rudolf Christian Karl Diesel (German: [ˈdiːzl̩]; 18 March 1858 – 29 September 1913) was a German inventor and mechanical engineer, famous for the invention of the Diesel engine, and for his suspicious death at sea. Diesel was the namesake of the 1942 film Diesel. Diesel was born in the house Rue Notre Dame de Nazareth No. 38 in Paris, France in 1858 the second of three children of Elise (née Strobel) and Theodor Diesel. His parents were Bavarian immigrants living in Paris. Theodor Diesel, a bookbinder by trade, left his home town of Augsburg, Bavaria, in 1848. He met his wife, a daughter of a Nuremberg merchant, in Paris in 1855 and became a leather goods manufacturer there. Only few weeks after his birth, Diesel was given away to a Vincennes farmer family, where he spent his first nine months. When he was returned to his family, they moved into the flat 49 in the Rue Fontaineau-Roi. At the time, the Diesel family suffered from financial difficulties, thus young Rudolf Diesel had to work in his father's workshop and deliver leather goods to customers using a barrow. He attended a Protestant-French school and soon became interested in social questions and technology. Being a very good student, 12-year-old Diesel received the Société l'Instruction Elémentaire bronze medal and had plans to enter Ecole Primaire Supérieure in 1870. At the outbreak of the Franco-Prussian War the same year, his family was forced to leave, as were many other Germans. They settled in London, England, where Diesel attended an English school. Before the war's end, however, Diesel's mother sent 12-year-old Rudolf to Augsburg to live with his aunt and uncle, Barbara and Christoph Barnickel, to become fluent in German and to visit the Königliche Kreis-Gewerbeschule (Royal County Vocational College), where his uncle taught mathematics. At the age of 14, Diesel wrote a letter to his parents saying that he wanted to become an engineer. After finishing his basic education at the top of his class in 1873, he enrolled at the newly founded Industrial School of Augsburg. Two years later, he received a merit scholarship from the Royal Bavarian Polytechnic of Munich, which he accepted against the wishes of his parents, who would rather have seen him start to work. One of Diesel's professors in Munich was Carl von Linde. Diesel was unable to graduate with his class in July 1879 because he fell ill with typhoid fever. While waiting for the next examination date, he gained practical engineering experience at the Gebrüder Sulzer Maschinenfabrik (Sulzer Brothers Machine Works) in Winterthur, Switzerland. Diesel graduated in January 1880 with highest academic honours and returned to Paris, where he assisted his former Munich professor, Carl von Linde, with the design and construction of a modern refrigeration and ice plant. Diesel became the director of the plant one year later. In 1883, Diesel married Martha Flasche, and continued to work for Linde, gaining numerous patents in both Germany and France. In early 1890, Diesel moved to Berlin with his wife and children, Rudolf Jr, Heddy, and Eugen, to assume management of Linde's corporate research and development department and to join several other corporate boards there. As he was not allowed to use the patents he developed while an employee of Linde's for his own purposes, he expanded beyond the field of refrigeration. He first worked with steam, his research into thermal efficiency and fuel efficiency leading him to build a steam engine using ammonia vapour. During tests, however, the engine exploded and almost killed him. He spent many months in a hospital, followed by health and eyesight problems. He then began designing an engine based on the Carnot cycle, and in 1893, soon after Karl Benz was granted a patent for his invention of the motor car in 1886, Diesel published a treatise entitled Theorie und Konstruktion eines rationellen Wärmemotors zum Ersatz der Dampfmaschine und der heute bekannten Verbrennungsmotoren [Theory and Construction of a Rational Heat-engine to Replace the Steam Engine and The Combustion Engines Known Today] and formed the basis for his work on and invention of the Diesel engine. Diesel understood thermodynamics and the theoretical and practical constraints on fuel efficiency. He knew that as much as 90% of the energy available in the fuel is wasted in a steam engine. His work in engine design was driven by the goal of much higher efficiency ratios. After experimenting with a Carnot cycle engine, he developed his own approach. Eventually, he obtained a patent for his design for a compression-ignition engine. In his engine, fuel was injected at the end of compression and the fuel was ignited by the high temperature resulting from compression. From 1893 to 1897, Heinrich von Buz, director of MAN AG in Augsburg, gave Rudolf Diesel the opportunity to test and develop his ideas. 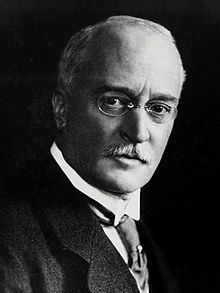 Rudolf Diesel obtained patents for his design in Germany and other countries, including the United States. He was inducted into the Automotive Hall of Fame in 1978. Ten days later, the crew of the Dutch boat Coertzen came upon the corpse of a man floating in the North Sea near Norway. The body was in such an advanced state of decomposition that it was unrecognizable, and they did not bring it aboard. Instead, the crew retrieved personal items (pill case, wallet, I.D. card, pocketknife, eyeglass case) from the clothing of the dead man, and returned the body to the sea. On 13 October, these items were identified by Rudolf's son, Eugen Diesel, as belonging to his father. On 14 October 1913 it was reported that Diesel's body was found at the mouth of the Scheldt by a boatman, but he was forced to throw it overboard because of heavy weather. There are various theories to explain Diesel's death. Certain people, such as his biographer Grosser in 1978, argue that Rudolf Diesel committed suicide. Another line of thought suggests that he was murdered, given his refusal to grant the German forces the exclusive rights to using his invention; indeed, Diesel boarded the SS Dresden with the intent of meeting with representatives of the British Royal Navy to discuss the possibility of powering British submarines by Diesel engine — he never made it ashore. Yet, evidence is limited for all explanations, and his disappearance and death remain unsolved. Shortly after Diesel's disappearance, his wife Martha opened a bag that her husband had given to her just before his ill-fated voyage, with directions that it should not be opened until the following week. She discovered 200,000 German marks in cash (US$1.2 million today) and a number of financial statements indicating that their bank accounts were virtually empty. In a diary Diesel brought with him on the ship, for the date 29 September 1913, a cross was drawn, indicating death. After Diesel's death, his engine underwent much development and became a very important replacement for the steam piston engine in many applications. Because the Diesel engine required a heavier, more robust construction than a gasoline engine, it saw limited use in aviation. The Diesel engine became widespread in many other applications, however, such as stationary engines, agricultural machines, submarines, ships, and much later, locomotives, trucks, and in modern automobiles. The Diesel engine has the benefit of running more fuel-efficiently than gasoline engines due to much higher compression ratios and longer duration of combustion, which means the temperature rises more slowly, allowing more heat to be converted to mechanical work. Diesel was interested in using coal dust  or vegetable oil as fuel, and in fact, his engine was run on peanut oil. Although these fuels were not immediately popular, during 2008 rises in fuel prices, coupled with concerns about oil reserves, have led to the more widespread use of vegetable oil and biodiesel. The primary source of fuel remains what became known as Diesel fuel, an oil by-product derived from the refinement of petroleum, which is safer to store than gasoline (its flash point is approximately 175 degrees Fahrenheit higher) and will not explode. ^ Sittauer 1990, p 49. ^ Sittauer 1990, p 50. ^ Sittauer 1990, p 51. ^ James, Ioan (2010). Remarkable Engineers: From Riquet to Shannon. Cambridge University Press. p. 129. ^ "Diesel's Fate Learned". The Evening News Star. Washington, D.C. 14 October 1913. p. 13. ^ "The tumultuous history of the diesel engine". Autoblog. Retrieved 2018-09-03. ^ Josef Luecke (Sep 22, 1988). "Rudolf Diesel — A tragic end". Manila Standard. p. 24. It is alleged the cause of the loss of his fortune was due to unsuccessful stock market speculations and poor real estate deals. ^ ‹See Tfd›DE 67207 Rudolf Diesel: "Arbeitsverfahren und Ausführungsart für Verbrennungskraftmaschinen" p. 4. ^ "Biodiesel Technical Information" (PDF). www.biodiesel.org. Retrieved 27 Dec 2017. ^ "Flash Point - Fuels". Engineering ToolBox. 2005. Retrieved 18 December 2018. Rudolf Diesel: Theorie und Konstruktion eines rationellen Wärmemotors zum Ersatz der Dampfmaschine und der heute bekannten Verbrennungsmotoren. Springer, Berlin, 1893, ISBN 978-3-642-64949-3. Rudolf Diesel: Die Entstehung des Dieselmotors. Springer, Berlin 1913. ISBN 978-3-642-64940-0. Rudolf Diesel: Solidarismus: Natürliche wirtschaftliche Erlösung des Menschen, Maro, 2007 (republication), ISBN 9783875124163. "Rudolf Diesel". Hemp Car. Archived from the original on 3 August 2005. Retrieved 3 August 2005. "Diesel, Rudolf" . Encyclopedia Americana. 1920. "Diesel, Rudolf" . Collier's New Encyclopedia. 1921.